We are thrilled to present this blog post from Andrew Watson, Dalhousie School of Nursing. Since its establishment, the Dalhousie School of Nursing Global Health Committee took up the charge of providing Nursing students with more awareness and increased accessibility of global health opportunities at three different levels – local, national, and international. As a committee, we believe that global health starts local, which led us to one of our first community partnerships on the local-global level, the Halifax Refugee Clinic (HRC). Committee members have been involved with the HRC in a variety of capacities over the years including advocacy on the issue of refugees’ right to health care, volunteering and fundraising. Through our conversations with those at the HRC that work directly with the refugee claimant population, a need was uncovered that was not being met by other fundraising/charitable organizations. The need was for essential items that most of us take for granted every morning – toiletry items, such as shampoo, deodorant, toothpaste and tooth brushes. Although these items are mainstays in vanities of people everywhere, we often don’t realize the cost associated with these hygiene basics can be overwhelming for a refugee family caught up in the search for housing, work and food. That’s where we went to work to help meet this need, giving rise to the FRESH START Campaign. This year, these items will be collected in various locations including the Nursing Student Lounge, Global Health Office, and School of Nursing Office until February 16th, 2014. To finish off the FRESH START Campaign with a bang, we will be hosting our second annual Trivia Night at Rock Bottom Brewpub featuring 3 brain-tickling rounds of trivia, great prizes and more. Trivia is free to play, however, the Global Health Committee will be collecting toiletry donations at the door. A portion of proceeds from food and beverage sales that night will also be donated to the Halifax Refugee Clinic. Come out, test your knowledge of random facts, donate a NEW toiletry item and support a great cause! Global Health starts local, and here’s your opportunity to be involved in an initiative to give someone a FRESH START at life here in Canada. 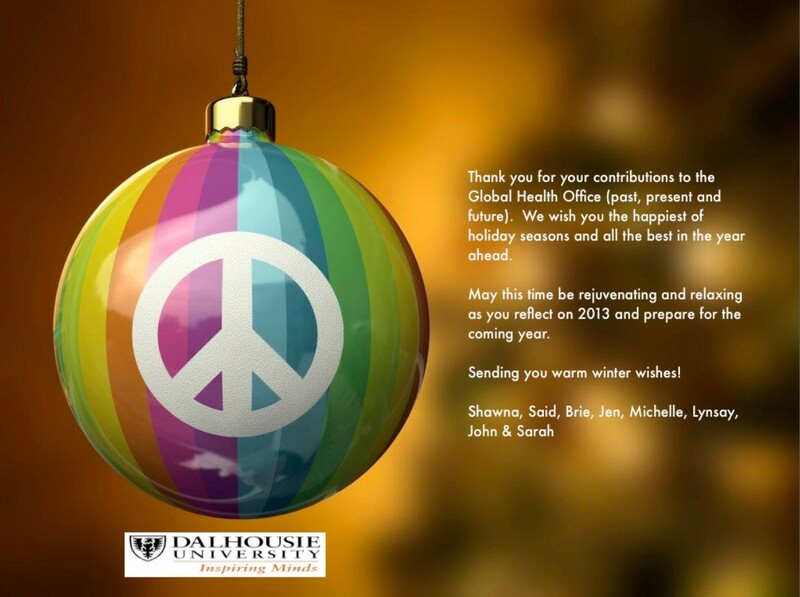 To find out more about the Dalhousie School of Nursing Global Health Committee please visit their facebook page.